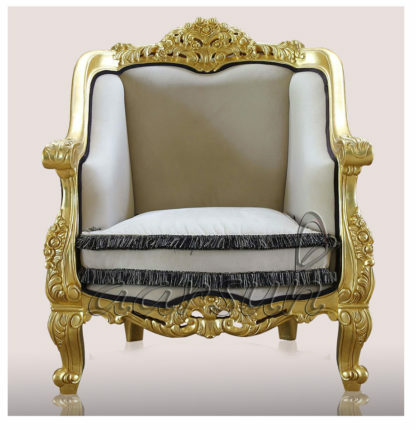 Upgrade your home furniture with this beautiful one-of-a-kind Royal Gold finish Teak Wood Sofa Chair made by skilled artisans in Saharanpur, India. Aarsun Woods has a wide range of designer furniture and this Sofa Chair brings style to your home. 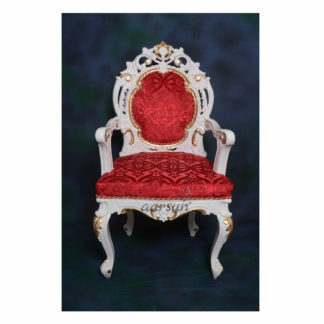 The traditionally handcrafted Sofa Chair has intricate floral carvings at the headrest, arm-edge, sides as well as legs. 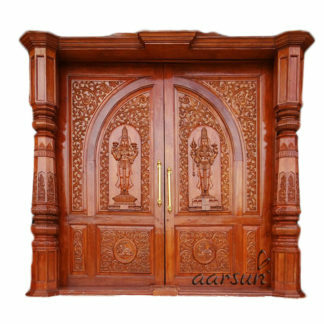 The unit is made in premium quality Teak Wood (Sagaun/ Sevan) with gold polish. 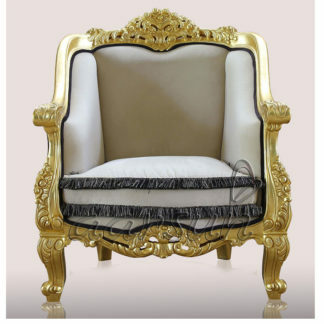 The Sofa Chair can easily become a focal point due to its uniqueness in design and gold finishing done. The chair upholstery is comfortable enough to make you feel cozy and relaxed. 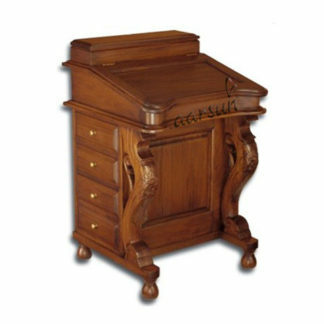 Home Furniture is most sought after units by customers looking for a change in their homes. Home Furniture offered by Aarsun Woods are highly customizable and the design as well as the size can be changed as per your interiors.